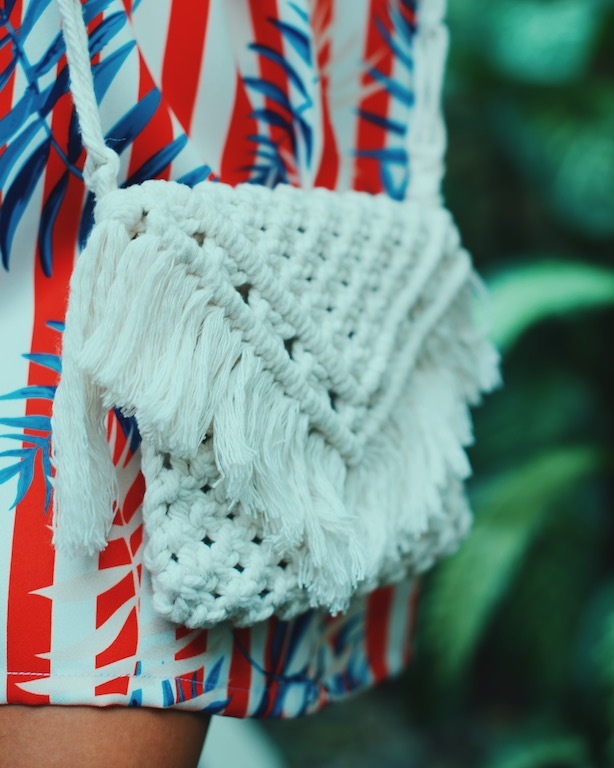 Macramé lovers across the globe, this post goes out to you! 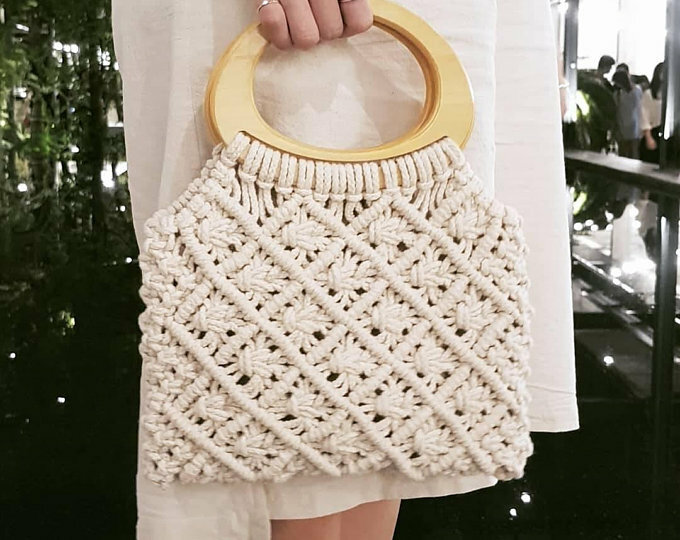 I’ve discovered a beautiful small brand with handmade macramé accessories here in Thailand. Take a look at some of these gorgeous pieces! 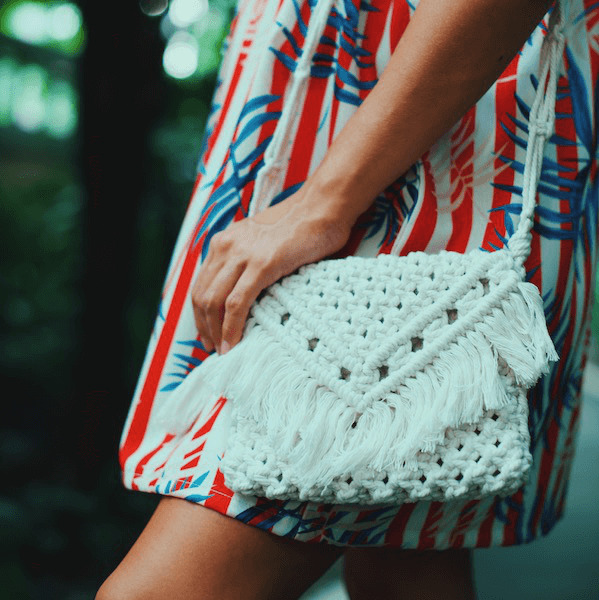 What I love about macramé is the visible handwork that goes into it and the creativity of the designer. 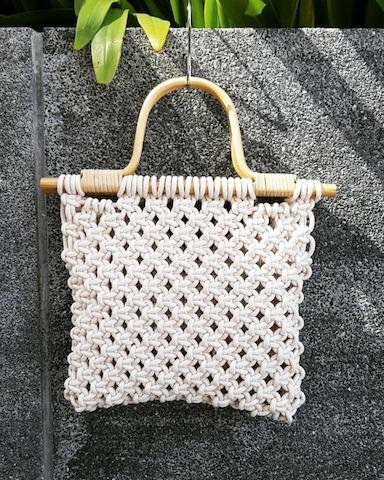 A macramé handbag, wall piece or plant hanger gives your outfit or home that instant exotic touch! One day I was walking around Bangkok and a small pop-up market caught my eye (it’s one of the things I love about Thailand: unexpected crafts and food markets wherever you go!). Of course I HAD to check it out and good that I did, as it was there that I met Mai and her lovely brand Lamaicraft! 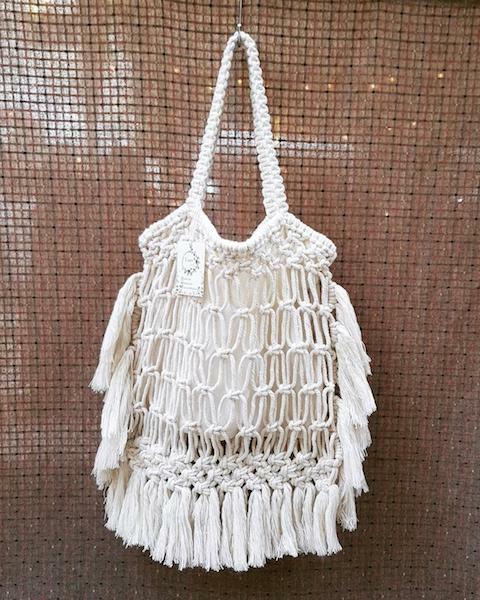 Mai has a passion for macramé which radiates from every piece she makes. 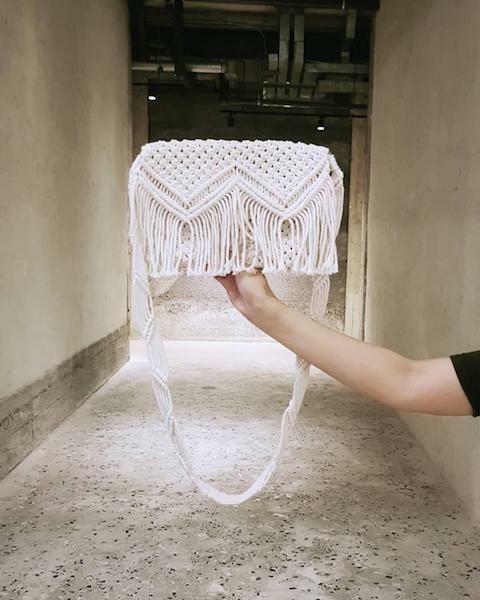 She has a background in fashion design but learned how to make macrame pieces herself, through YouTube and Pinterest. What sparked her interest in this knotting technique? I love knowing what I wear is unique and eco-friendly! Finally, where does the name Lamaicraft come from? Any questions on this brand or troubles placing your order? Don’t hesitate to get in touch with me! Drop me a message through the contact page, send a mail to contact@treasurista.com or DM me on Instagram (@treasurista_). Any questions about me or my blog? Any ideas or feedback you’d like to share? I’d love to hear from you through the channels above or in the comments below!